This contribution proposes a different spelling and underlay of Ockeghem’s name in Josquin’s lament Nymphes des bois (NJE 29.18), and offers new arguments for his identification as the singer in the red robe in the famous miniature of the French Royal Chapel. Considering that the transmission of Josquin’s three-voice chanson Quant je vous voy (NJE vol. 27 (1991), no. 32) is corrupt in its two principal sources, the authors propose improvements to its musical form and counterpoint as well as to the text, and place it as a carole in the cultural context of the time. The frequent and sometimes striking appearance of the falling third in a large number of works by Josquin can be considered a hallmark of his style, and suggests that the composer may have used the motif as his musical ‘signature’. Referring to the famous eulogy by Glarean of Josquin’s genius (ingenium), the article examines several of his works based on numbers and suggests that this mode of operation, being an esoteric aspect of the art of composition, may have escaped contemporaneous musical theory. In several of his motets in honour of the Holy Virgin, Josquin excelled in devising the means to express, in an unparalleled and supreme manner, some important aspects of the textual content. Among these are the treatment of chant, musica ficta, number symbolism and gematria. 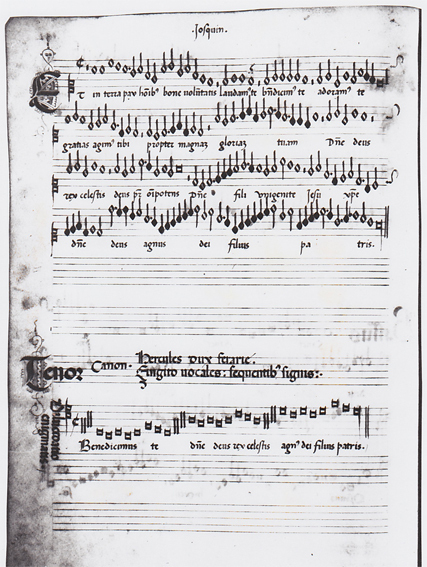 Using evidence of a sophisticated form of symbolism and skilfulness pointing to the composer’s full maturity, the study challenges the established idea that the Missa Gaudeamus is Josquin’s earliest chant-based Mass, and ascertains elements in the Missa Ave maris stella, commonly found in the Milanese repertoire of the mid-1470s. As a response to Jaap van Benthem’s analysis of the cantus firmus of Josquin’s Stabat mater, where he determines 99 notes, a close-reading of the sources of the motet seems to show that the tenor actually counts one hundred notes (fifty in each of the two partes), a number that in Christian medieval numerology is associated with eternal life, thus symbolising the prayer in the last strophe of the sequence where it is asked “that the soul is given the glory of paradise”. The absence of specific staff signatures in Senfl’s edition of Josquin’s five-voice Inviolata suggests that the composer may have wanted to create a link between the subject of the Holy Virgin’s Immaculate Conception and the use of perfect fifths in the canonic elaboration of the chant melody. The article examines the most important religious themes that, in 15th- and 16th-century musical settings, have given rise to a large number of symbolic expressions. 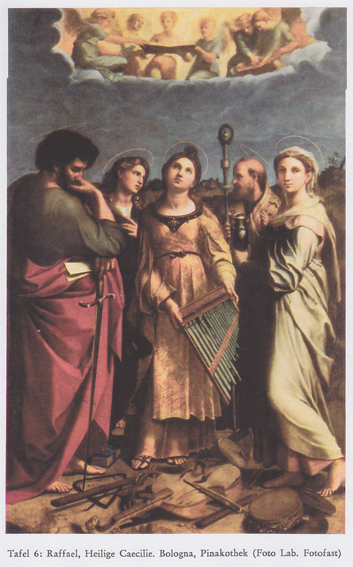 Among these themes are the imitation of Christ in musical harmony, number symbolism in works honouring the Virgin Mary, and canon and imitation as musical images of the divine persons. As it appears, the repertoire of pieces transmitted in Spanish tablature books contains two works attributed to Josquin that are not known from other sources. Judging from the musical style, it can be concluded that they are arrangements of vocal works, now lost in their original form. 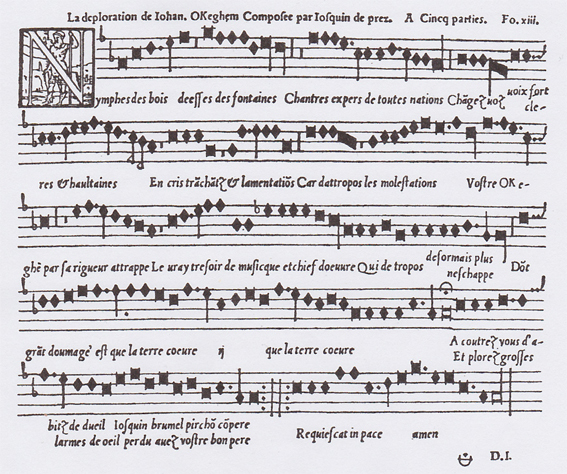 While Jacques de Liège, in his Speculum musice, calls ‘numerus’ the foundation of heavenly or divine music, a small number of multi-voiced works in the 16th century can be determined by considerations based on the symbolism of numbers. At the same time, the sweet-sounding musical texture of these pieces corresponds to the idea of pure harmony, which, in the opinion of the medieval theoretician, is identical to musica celestis. The aspect of mentality is still a young discipline in historical research, and this applies as well to our familiarity with the phenomenon of intermusical relations. A number of examples show that Renaissance composers, by means of imitation, emulation and dialogue, may have wanted to express musically their esteem for their teacher, older masters or colleagues. The often richly ornate manuscripts of the workshops of Petrus Alamire contain fourteen Mass settings and two Mass movements by Josquin that are authentic. However, despite the great care that went into the production of these manuscripts, we find more copying errors than in other, less handsome sources, and there is also no question of a uniform transmission when the same work is represented in more than one manuscript. Unlike Josquin’s Missa De beata virgine, which is built on a separate chant appropriate to that particular movement of the Ordinary, his three chant-based Masses Ave maris stella, Gaudeamus and Pange lingua were conceived as cyclic compositions based on a single chant drawn from the liturgical repertory, with the result that here, we can speak of an organic unity in the Mass as a whole. In this music history of the Low Countries, special attention is paid to Josquin’s extraordinary renown, which lasted from the end of the 15th century to over half a century after his death, in 1521. This contribution surveys the rich variety of forms of symbolism discovered in Josquin’s oeuvre. It relates the three-voice mensuration canon in the Agnus Dei of Missa L’homme armé svm to the Holy Trinity, describes the presence of the numbers 7 and 12 in several works dedicated to the Virgin Mary, assigns Missa Gaudeamus to the feast of All Saints on the basis of the deliberate scheme of the statements on the “Gaudeamus” motif, and, finally, interprets some works as being inspired by the idea of musica celestis. This article advances the thesis that Josquin’s Missa Hercules Dux Ferrarie was composed as a present from Ascanio Sforza, exiled to Ferrara in 1480, to Ercole I d’Este for the commemoration of his knighting on 13 September 1480. One of the arguments is the fact that the 47 statements of the famous soggetto cavato may have been devised for the 47th anniversary of Ercole’s knighting, who was not yet two years old, in 1433. An outline of the use of rhetorical figures in works by Dufay and Josquin serves as an introduction to the observation that the use of six-chord and sharp harmonies in the accompanying strings at the opening of the recitative “Erbarm es Gott” in Bach’s St. Matthew Passion (no. 51) may echo the idea of fauxbourdon in its pejorative sense, as practised by Josquin and described in Adam von Fulda’s De musica of 1490. Commemorating Ockeghem’s death five centuries ago, the article is an homage to the composer, and challenges the long-standing view that the elderly figure with the glasses on the famous miniature in manuscript fr. 1537 of the Bibliothèque Nationale in Paris represents the composer. It is argued that Ockeghem is depicted as the singer in the red gown, standing at the right side of the desk. The contribution gives a brief description of the most essential features of the migration of musicians from the Low Countries to Italy, pointing out, among other things, that of the sixty best known composers the majority stayed for a shorter or longer period in one or more of the great centra, and were influenced, particularly in the treatment of text, by their Italian colleagues. The study seeks to demonstrate that the theme of Reconciliation inspired Josquin, in some of his settings of the Agnus Dei, to apply some remarkable compositional procedures. 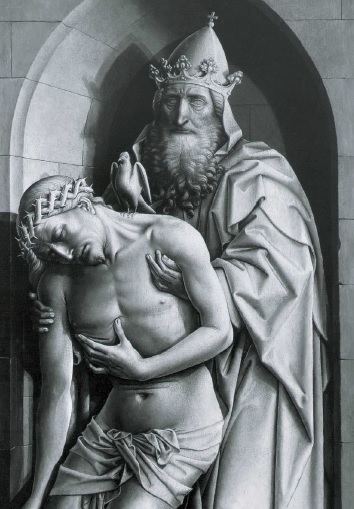 By means of three-part canons, the use of the minor perfect mode and motif occurrences based on a number, the significance of Christ’s death on the cross is musically emphasized. The article examines compositions by Compère, Clemens non Papa, Moulu, Hollander and Vaet, where the technical elaboration of a soggetto ostinato is clearly inspired by the martyrdom of the saint in question or, in the case of St. Paul, by his conversion to Christianity. As few other compositions, Isaac’s famous ‘instrumental’ piece La mi la sol has been the subject of a long-standing controversy in scholarly literature. However, scrutiny of all arguments brought forward leads to the conclusion that, originally, the piece must have been a setting of an octosyllabic medieval hymn with the incipit O praeclara, of which various versions are edited in the Analecta hymnica. The opening address to the International Josquin Symposium in Utrecht, in 1986, seeks to answer the question of what we actually know about Josquin. It is suggested that, on the one hand, the famous woodcut of his portrait can hardly claim to give a reliable impression of the composer’s countenance, and that, on the other hand, Gian de Artiganova’s often quoted letter to Ercole d’Este with the words “Josquin compone meglio” (Josquin composes better) attests to the greater quality of his art if compared with that of his contemporaries. 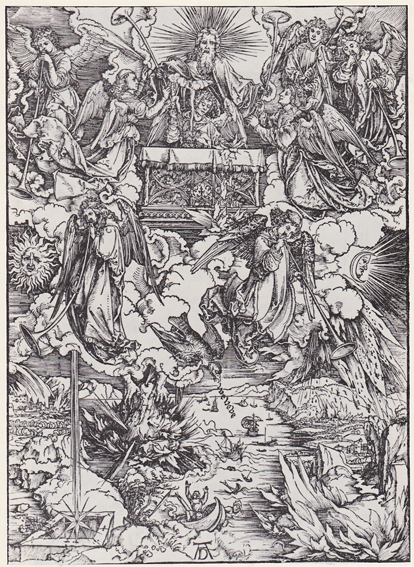 The article explores the question as to which extent patronage in the Renaissance may have had a bearing on the form of compositions, and, going into some detail, gives examples from the oeuvres of Dufay, Josquin, and the repertoire of the early L’homme armé Masses that make this highly probable. From the absence of text underlay in the sources and the rhythmic character of the tenores in the Masses L’ami Baudichon and L’homme armé super voces musicales, it can be concluded that the composer may have intended an instrumental performance of the song melody. According to Tinctoris, the shawm would, in that case, be the most appropriate instrument. Although the reliability of Petrucci’s Josquin ascriptions has been challenged more than once, it appears that, out of exactly one hundred titles printed by the publisher under Josquin’s name, only four are considered to be spurious and five others doubtful. If we interprete the text of Dufay’s communion “Vos qui secuti estis me” (You who have followed me) – the allegedly earliest fauxbourdon piece in the history of Western music – in the context of the imitatio Christi, it appears that the medieval meaning of the French words faux bourdon, i.e. the male bee, may have its genesis in the medieval allegory of the society of the bees and the community of the Church. Several of the many contrapuntal procedures for which Bach’s composition process is universally praised, such as the mensuration canon and the technique of through-imitation, appear to originate in music by composers of the Low Countries. In funeral works and laments from the 15th and 16th centuries, many elements can be perceived that attest to the composer’s intention to express symbolically text-related aspects. Among these elements are musical quotations, musico-rhetorical figures, black notation, seven-part scoring, the affection of the mode, canonic procedures, and gematria. The motet, a setting of the last prayer in the Requiem Mass, contains both a musical reference to one of Obrecht’s works and a numerological reference to his name, suggesting that this work was dedicated to Josquin’s colleague, who died in 1505. In several of La Rue’s chant-based Masses it appears that phrases of the cantus firmus, which is often notated in red ink, are heard according to a specific number of times that reveals a symbolical correlation between the conceptual intention of the polyphonic composition and the way the chant melody is presented within it. The article reviews a number of compositions where, through various technical means, the basic idea of death and the immortality of the soul in Christian faith are highlighted. Opening address to the Josquin Symposium, held in Cologne from 11 through 15 July 1984, describing the history of the first edition of the works of Josquin des Prez by Albert Smijers, as well as the background to the decision to start preparations for a new edition, which will be undertaken by an international team of musicologists according to editorial guidelines established after many years of discussion (see the four Reports of the Josquin Meetings above). The analysis shows that Josquin’s Gaudeamus Mass is based on a mystical number series, the individual parts of which can be meaningfully interpreted, and lead to the conclusion that the Mass was not composed for a Marian feast, as was formerly thought, but for All Saints (November 1). Text written for the performance of Josquin’s Gaudeamus Mass in the liturgical service at the St. Ursula Church in Cologne, July 15, 1984. 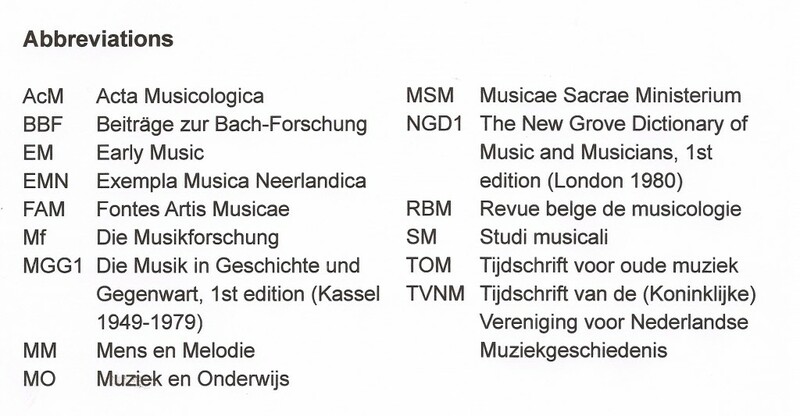 As one of the oldest musicological periodicals, chiefly devoted to the music historiography of the Low Countries, TVNM developed in the course of the past century, from a national to an international journal, with an increasing number of contributions from foreign scholars. The small Superius partbook ‘Hecht s.s’ is the only extant copy out of a set of four or five, copied ca. 1550 by Jodocus Schalreuter in Wittenberg. It contains 64 sacred works, most of them Latin psalm motets mainly by German composers. An investigation into the use of rhetorical figures in Dufay’s song Juvenis qui puellam and the isoperiodic motet Supremum est mortalibus bonum. Paper read at the 1977 IMS Congress at Berkeley, of which an expanded version is published in TVNM 27 (1977); see below. The article explores the relation between literary humanism in Italy, rhetoric and musical structure in works by Ciconia and Dufay, and establishes the influence of music philosophy on musical harmony, in particular in the use of fauxbourdon. Distinguishing six major techniques of using Gregorian melodies in the chant-based motets published in the first edition of Josquin’s collected works, the paper describes the composer’s methods of elaboration in some detail. In this lecture it is explained why the performance of Renaissance music in an appropriate setting may contribute to a better understanding of its original function on the part of the audience. The identical melodic outline of the plainsong antiphons, on which the six-voice motets Ave nobilissima creatura and Huc me sydereo are based, suggests that these works may form a musical diptych. This seems to be confirmed by the fact that the texts subtly connect Christ’s conception in the first motet and his death on the cross in the second. The use of the principle of gematria in Josquin’s Marian motet Illibata dei virgo reveals how the composer, by means of the solmisation motif la–mi–la in the tenor, enters, as it were, in union with the Virgin Mary. Departing from the analytical approach adopted in the author’s Studien zur Symbolik (see above), the article concentrates on the composer who has been foremost among his colleagues to introduce musical symbols in his works, inspired by the texts on which these are based. On the basis of their transmission in the sources, the article proposes the instrumental rendering of one part in the following compositions: Dufay, Et in terra de quaremiaulx; Pipelare, Agnus dei III from Missa Sine nomine; Josquin, Stabat mater (NJE 25.9), Domine dominus noster (NJE *16.4), and Missus est Gabriel angelus (NJE **20.6). Jehan Titelouze’s twelve hymnes de l’église, published in 1623, are based on plainsong hymns and divided into either 3 or 4 versets. The chant melodies are elaborated in the form of a ricercare (recherche or fugue) or placed as cantus prius factus in sustained notes in the lowest part. Containing 119 secular works, mostly by 16th-century composers from the Low Countries, this codex was acquired in the 1960s by the library of Utrecht University, and is described and inventoried in the present article. The article seeks to show that comparison of the text underlay in parody Masses and their models may contribute to a better understanding of the principles of ‘good’ declamation in the second half of the 16th century. 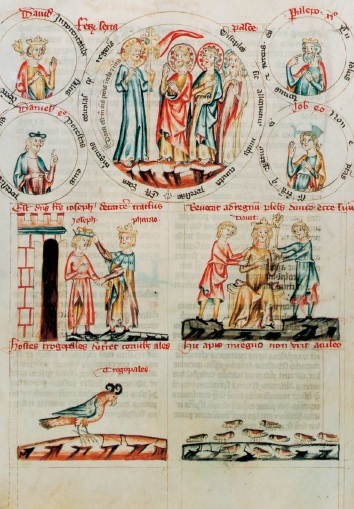 Although, until 1964, the scholarly literature does not mention the influence of Gregorian chant on the liturgical plays contained in the important 12th-century ms. Orléans 201 – Solange Corbin even denies any “allusion musicale” to plainsong melodies – the article shows that, in four of the ten dramatic representations (from Fleury), there is clear evidence of the use of text fragments and melodic formulas derived from antiphons, responsories and hymns. The article describes the various forms of the medieval psalterium (psaltery) and the bowed triangular “psalter”, built in 1950 by Eberhard Mittmann in Rönsahl (Westfalen, Germany). A detailed comparative analysis of the madrigal Masses by De Monte and their models reveals that the composer, in contrast to e.g. Orlando di Lasso in similar works, used prominent declamatory and expressive elements from the madrigal as a guiding principle in the elaboration of his material.